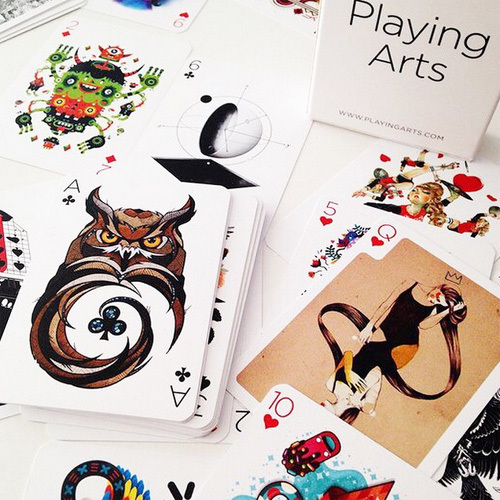 "Playing Arts" is a collaborative project between the designers and illustrators from all over the world to transform something so ordinary such as playing cards into a unique art work. 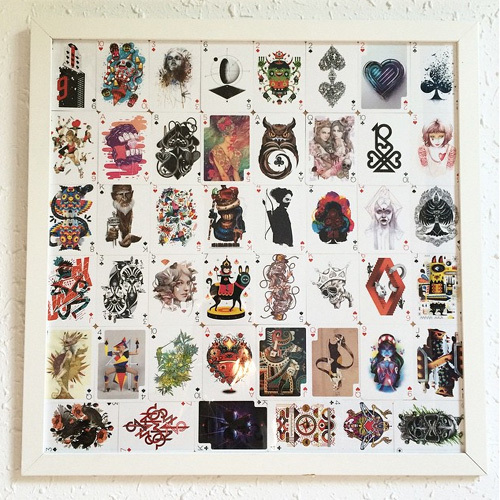 Each card in this deck has been individually designed by one of the 55 artists "with an idea to express their vision of an ordinary playing card using personal styles, techniques and imagination." 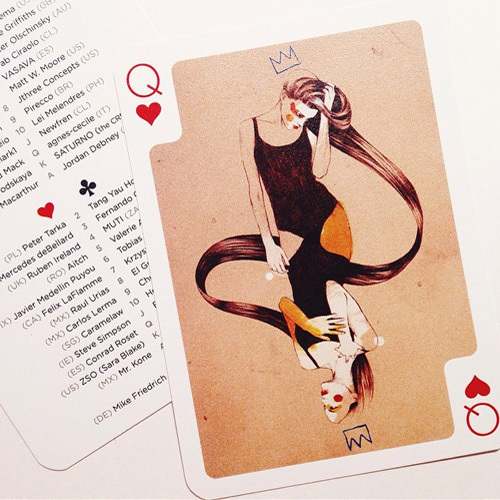 There are two editions of the Playing Arts cards so far. Edition one is available for purchase here and Edition two can be pre-ordered for early August. 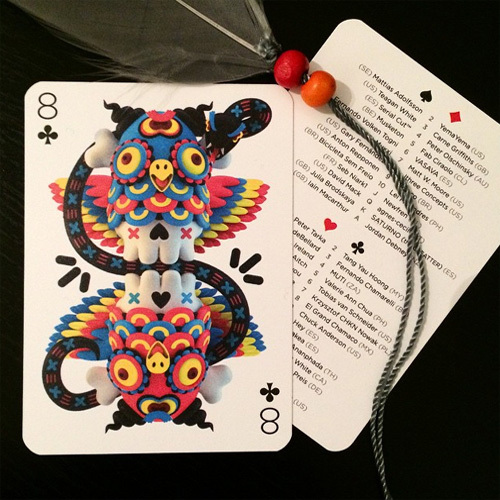 The images shown are from the first edition featuring owl card designed by Andreas Preis an artist from Germany. 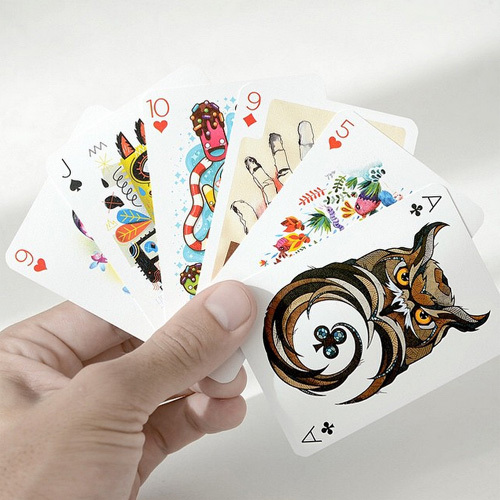 When the artist was asked what was the inspiration behind the concept he shared "I love owls! 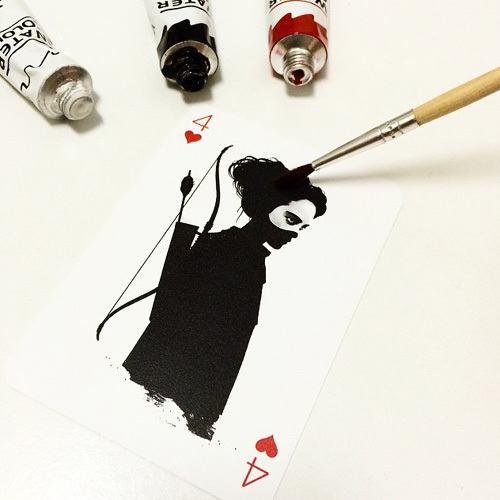 That’s more or less the concept… I had asked to do an ace, because I thought that’s where an owl might fit the most." 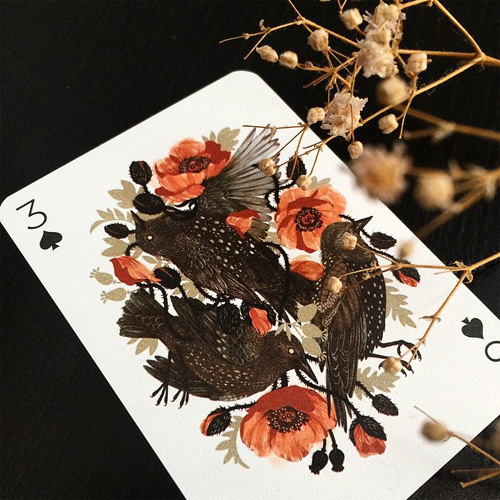 You can view all the gorgeous cards on their website as well as on Instagram, and read wonderful interviews of the talented artists to learn more about them and their art.